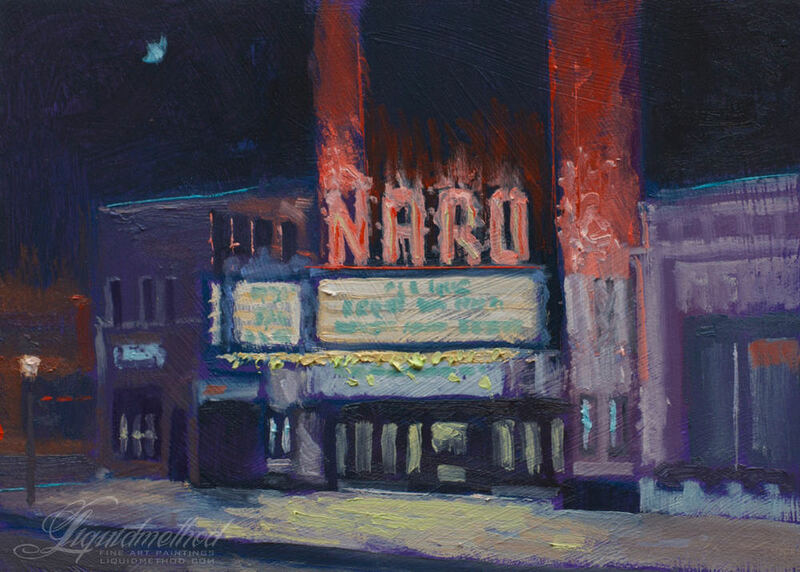 Saturday night had me painting the NARO Theatre in Norfolk. 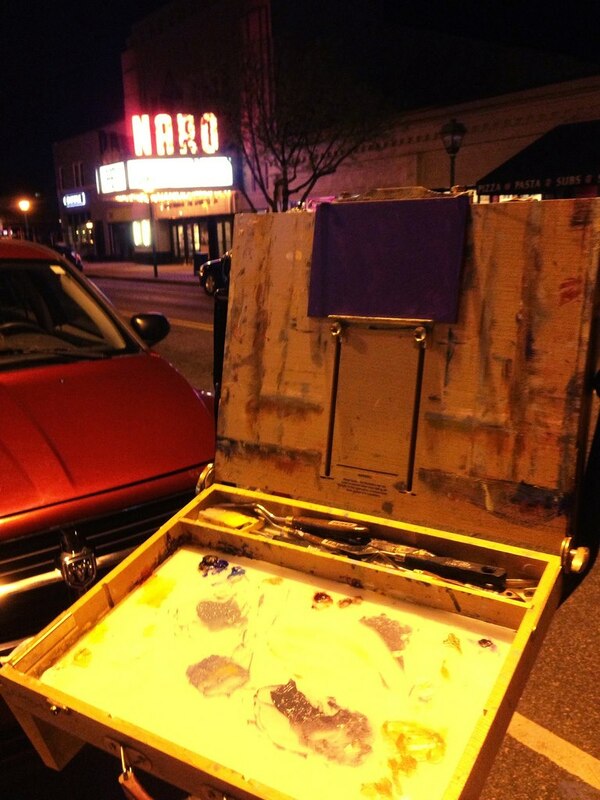 Was a great time painting despite the hard orange glow overpowering my easel lights. Met a lot of great people. Especially one guy that I discovered that we had a lot in common. We had a great talk about failures and how we move on to overcome those failures and turn them into life lessons. My fellow artist Walt came by to say "hi!". It was a cold night, but I had great time. Sunday morning had me painting the Fairground Coffee House in Ghent Norfolk. It was a good session and met some new people and saw a friend there too. A really cool guy named Loftus was kind enough to take some pics since my phone died.